No doubt, social networking sites have become part of our daily life. They are providing enormous benefits in terms of business, promotions, and fun as well. There are lots of networking sites are out there that are providing the unique features to every user. Like, if you want to promote your talent, then it would be an ideal choice for you. Here we are talking about the Instagram is getting the hype. Instagram is one of the best applications that are providing the top-notch features such as live, Filters, promotion and other ones as well. Millions of people are using the Instagram because it is providing a lot of incredible functions to every user. Here we are talking about the best reposting applications that are offering enormous benefits to the users. Like, if you want to post any kind of pictures and videos in the fraction of seconds then reposting application is best for you. Most of the companies are providing the story features in the reposting the app. Therefore, if you want to put your all pictures in the one place, then you must choose the best repost app. 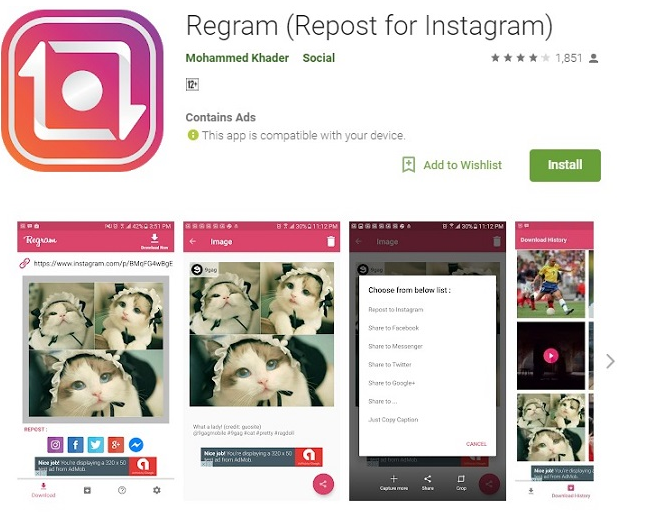 With this article, we have listed the best repost app for Instagram. So you are looking for the best reposting application. Well, repost for the Instagram is one of the best application yet with millions of downloads. The best thing is that it is compatible with Android and IOS as well. Let you post portfolio in the fraction of seconds. They are offering the top-notch features to the user. If you want to save the visuals, then it would be a perfect application for you. The best thing is that you can repost the pictures and videos in the fraction of seconds. It will download the pictures and videos directly to your Gallery. Now, you can share your pictures and videos with your friends. Firstly, you should download the reposting application and copy the URL of pictures and video as well. After that, you must open the app and paste your URL into the application. Now, you can download every pictures and video in the fraction of seconds. 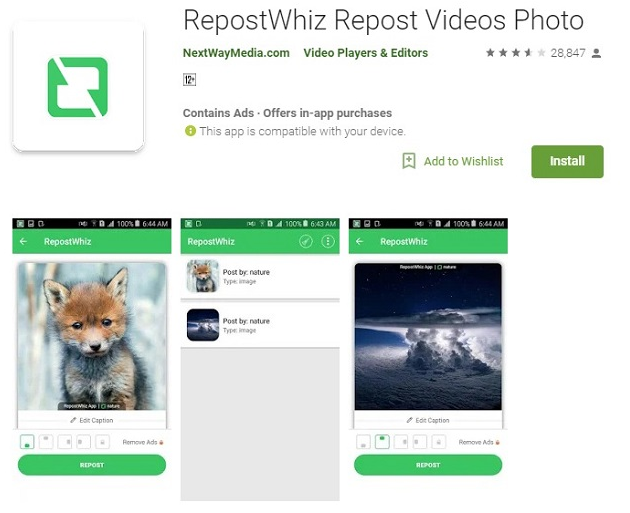 Repostwhiz is top-notch and advanced functionality application. Most of the people prefer such an application because it is available for window users. Repost via Instant is an unbelievable application that is compatible with Android. You can download the app via the Play store. If you want to save your favorite videos and pictures from the Instagram, then it would be the perfect application for you. According to the professionals, it is a top-notch application that let's download the videos and pictures and live videos as well. Thousands of applications are available in the play store. It would be quite difficult to choose a genuine application for the reposting. Above-mentioned applications are beneficial for ever users. Thanks for this wonderful article about Instagram repost apps, I do use “Save and Repost for the Instagram” and this one of the best app which does work without any problem. Seriously “Save and Repost for the Instagram” is best app. Thanks to give your valuable feedback here..